Rosa Rodriguez packs a bag at her Durango Regency home Thursday in preparation to evacuate. While Rodriguez’s home was on the pre-evacuation list, she, her husband and her son all thought they would be on the evacuation list by the end of the day and wanted to prepare early. 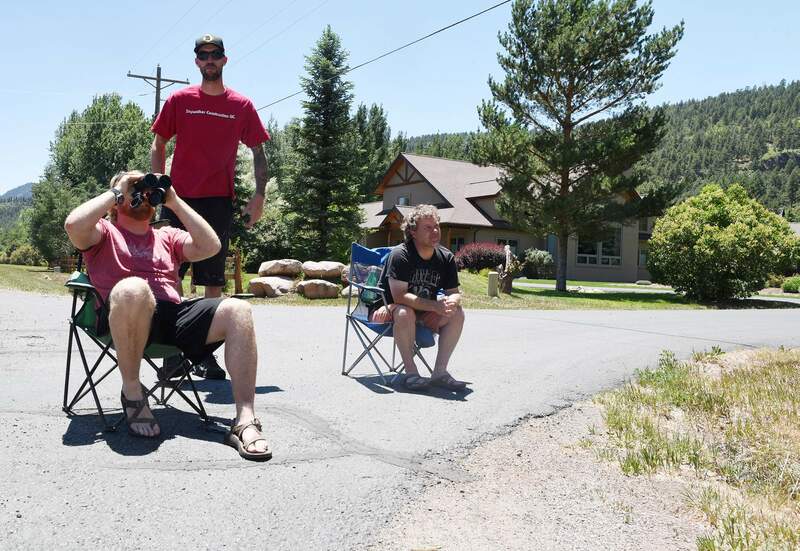 HERMOSA – Hundreds of La Plata County residents found themselves facing an uncertain future Thursday as the 416 Fire inched its way closer to their Hermosa homes. Almost 500 homes – 497 to be exact – were evacuated at 6 a.m. Thursday in the Hermosa area. Hours later, an additional 751 homes were put on pre-evacuation notice. Multiple vehicles packed to the brim with personal belongings departed the Hermosa area Thursday morning, with no time frame for when they would be able to return home. 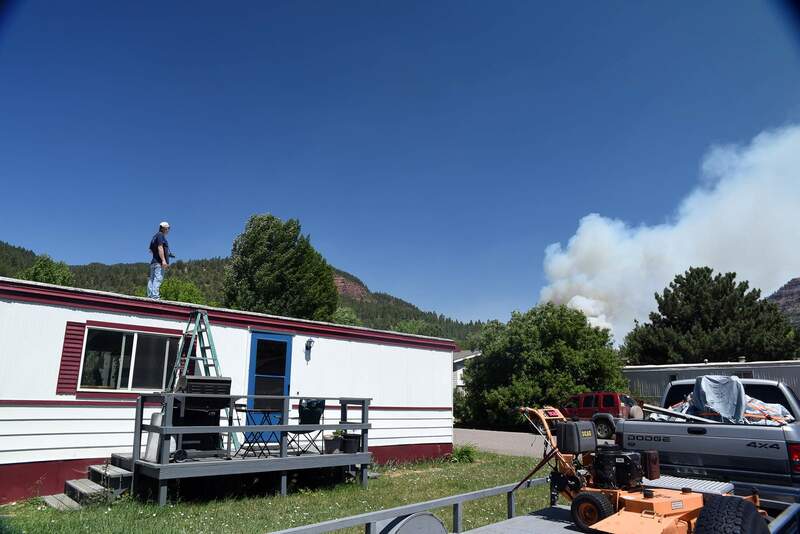 As of Thursday morning, 11 people planned to stay at the emergency evacuation shelter, though there is enough room for hundreds, said Eric Myers, executive director for American Red Cross of Western Colorado. 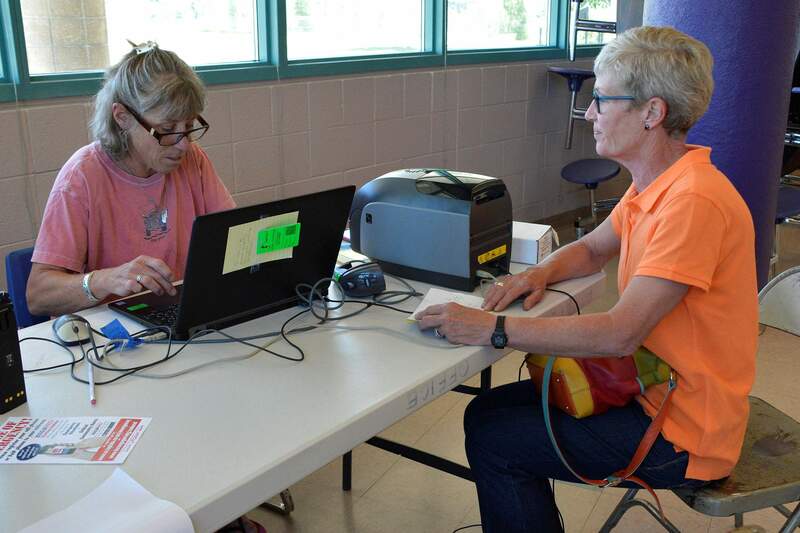 Kristi Householder, right, registers for credentials from La Plata County Search and Rescue volunteer Amy Knight to be allowed back to her home once it is safe. Her husband, a retired volunteer firefighter, stayed behind to keep watch over their house. Householder said she is nervous but hopeful about the 416 Fire’s containment. Stein and his wife, Melissa, spent Thursday morning packing up documents, photos and other essential items should they be given the order to evacuate. Luckily, the Steins have a friend who offered to let them use their guest house. The hardest part about packing is not knowing how long to pack for, he said. Many residents who had received pre-evacuation orders had been preparing to leave since the fire broke out Friday. Tom Garcia watches the 416 Fire burn from the roof of his home in Durango Regency trailer park in Hermosa. Garcia, who lives in an area that was flagged for pre-evacuation, was not planning on evacuating yet. Minerich and her family, who live on County Road 203, have spent their remaining time mitigating their property, including using ditch water to water their lawn. They’ve also filled buckets with water and placed them around their house for firefighters to use should they need them. Their son Lucas was given the nickname “Smoky” because he was born three days after the Missionary Ridge Fire started in 2002. The family couldn’t initially return home because of the impact the smoke could have had on their newborn. Jamie Miller and her roommate, Jessica Roukema, who lives on Tripp Creek Lane, had spent the week anxiously watching the fire inch closer to their home. The roommates had been contemplating leaving to avoid smoke in the valley but have decided to stay until they receive an official evacuation order. 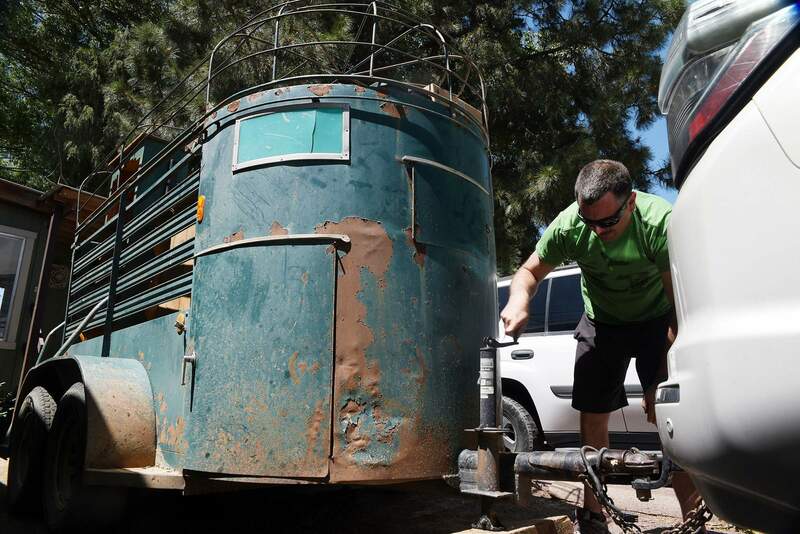 Mike Mitchell packs up a second load of belongings from his home in Durango Regency mobile home park. Mitchell, in a pre-evacuation area of Hermosa, was leaving the area because of the 416 Fire. Roukema is leaving to spend the weekend in Denver and is worried she won’t be able to return to her house when she gets back. She plans to pack most of her belongings before she leaves so her roommates can grab them should they be evacuated. Miller said the proximity of the fire to their home has made them antsy. Jan Karr, who lives next door to Miller and Roukema, was frightened when she received the pre-evacuation notice. Karr and her husband don’t own cellphones, so most of the information they receive has been from neighbors. Law enforcement has also done a good job of providing information and clarifying questions, she said. Residents watch the 416 Fire from The Sanctuary at North Valley in Hermosa. Karr said she packed dog food and supplies by the door should they need to leave quickly. She also packed medical supplies and other personal items. Jeanie Emigh and Ken Hunter were on vacation in London and arrived home at 9 p.m. Wednesday. Sometimes, luck can be found in the grimmest of circumstances. If the couple had come home at a later time, they may not have been able to go to their home to retrieve their belongings. Besides personal documents and family heirlooms, Emigh and Hunter say the thing they are most glad to have is each other.